Sara Cardona, Punto de Fuga (detail), 2018. 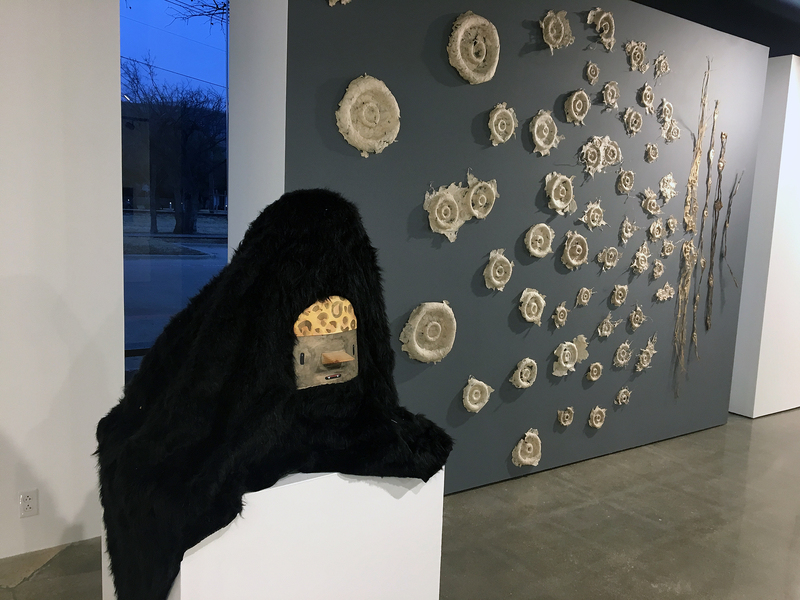 Curator Giovanni Valderas brings Latin American artists who call Texas home into a global conversation at the University of Texas at Dallas' new SP/N Gallery. “If we discover and create, we shall overcome,” writes philosopher and politician Jose Vasconcelos in the early 20th century text La Raza Cosmica. 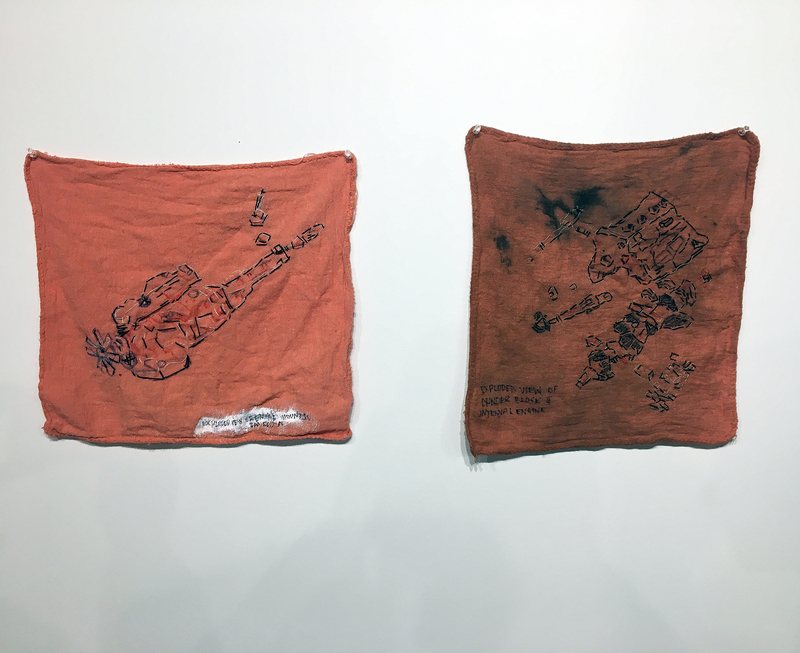 This manifesto informed Transmission Reentry, a large show composed solely of work by Latinx artists currently on view at the University of Texas at Dallas’ new SP/N Gallery. 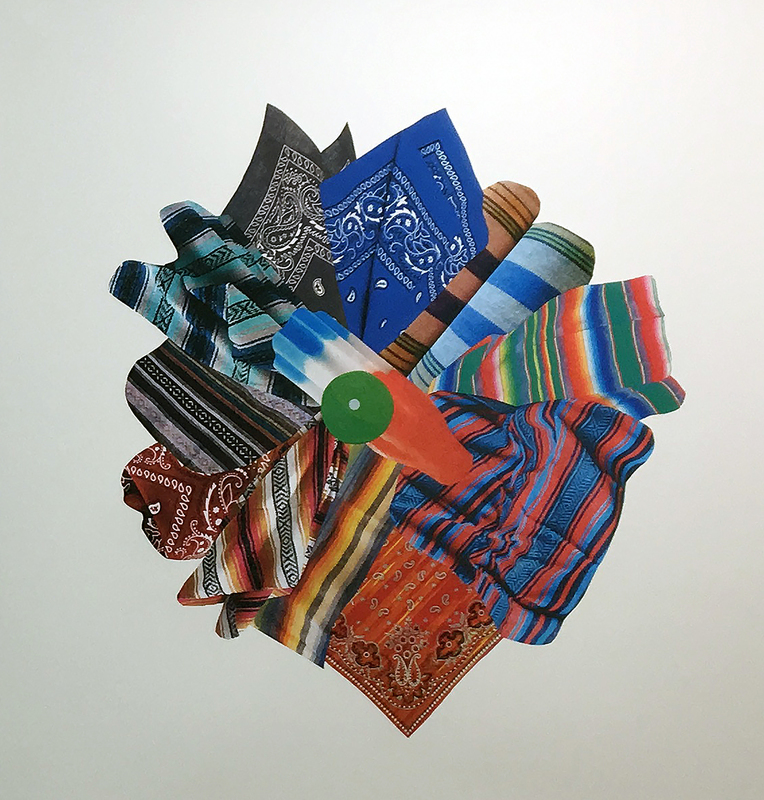 Curator Giovanni Valderas brought together the work of 15 Texas-based artists who hail from around the world but share a commonality as members of the Latinx diaspora. As an artist himself, Valderas has made rounds on TV news and in the press for leaving piñatas shaped like houses with downcast expressions in gentrifying neighborhoods as part of his “Casita Tristes” project, a commentary on the scourge of housing inequality in Dallas. 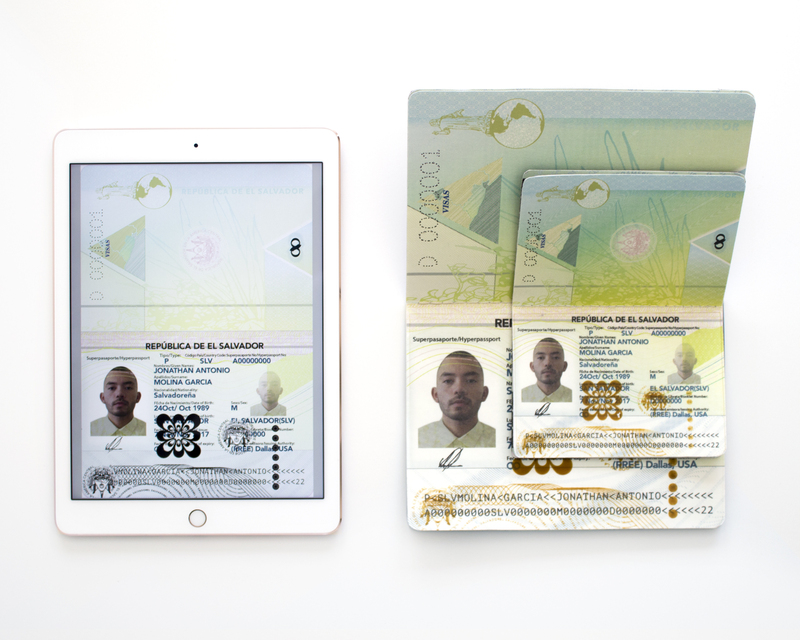 In tandem with the symposium “Rethinking Form in Latin American Literature and Visual Art,” Valderas, one of the community’s most outspoken proponents for local artists, especially artists of color, created the show to incorporate voices of Latin Americans who call Texas home into a global conversation. 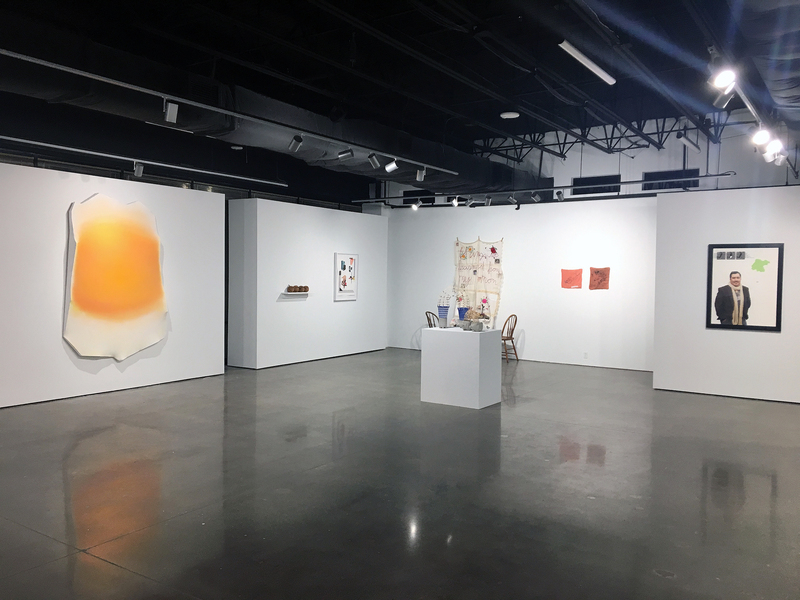 I sat down with Valderas to discuss American exceptionalism, the dynamics of assimilation, and the art being created by contemporary Latinx artists in Texas. Tell us a little bit about the show, how it came about and your curatorial framework. UTD wanted a show that would reference or tie in to the symposium and they reached out to me to curate it. I think so often we have people come in and talk about Latinx issues and history in symposiums like this, and I thought about our own history in Dallas and in Texas, and how it would be really interesting to showcase local artists who are already dealing with issues of identity and ambiguity in their own work. Forefront: Carlos Don Juan, Untitled (Black). Synthetic fur, tomato cage, wood, paper, 2017. Background: Rachel Muldez, Four Epochs. Mulberry inner bark & paper, 2017. I get the sense that you’re describing a certain urgency experienced by Latinx artists to respond to a pressure to assimilate by more aggressively incorporating their own identity in their work. Has that changed at all, become more present, in the last few years? Especially in Dallas it has been really easy for Latinos to assimilate into white culture which in the end has been a detriment to us, something you can really see reflected in today’s politics. There are artists here who I think are talking about really important things and were also affected by, and therefore reflecting in their work, major events. So many times we’ll have institutions and curators who will bring someone from Latin America, and while their voices are important, this is an opportunity to showcase local artists of Latinx descent, to give them a voice, to let them speak their truth concerning how the current climate is affecting them. Really great art exhibits reflect our current condition. Sometimes in Dallas we don’t want to — we want to skirt the issue instead of talking about it, and these artists do a really good job of talking about it. Jose Vasconcelos tasked artists with being embedded in their community, to represent their passions and concerns through visual means. These artists do that. Contemporary artists as a whole are consumed with personal exploration through their work, whether psychological, physical, or otherwise. While a lot of the artists in the show are using and exploring their culture, they’re also expressing highly personal concerns. What would you say about artists who feel this urgency to make their culture part of their work, but at the same time are attempting to work through how to balance that with more overtly personal concerns? I think it’s all connected. How can culture not influence the personal? That’s where they come from and that’s who they identify with. And I respect them for using that in their work. I think it’s easier for a person of color or Latinx person to say, ‘No wait, I’m an artist first,’ and I think that these artists know who they are and they’re comfortable with that. It’s really refreshing. personal belongings, thread, wire, and clothespins. What about materials? 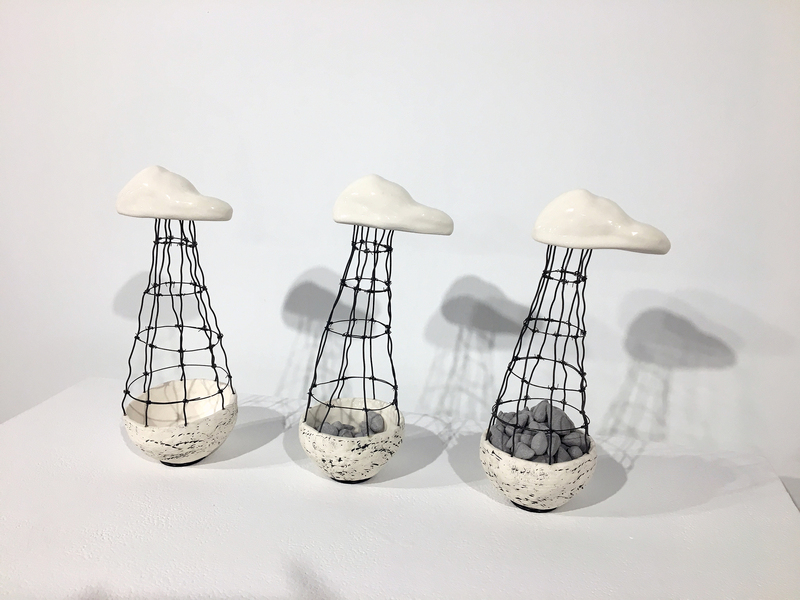 There’s a diverse array of materials used in the work in this show, found materials both in terms of personal or family items, as well as items found in nature. Talk a little about the material choices of some of these artists and how they might speak to the show’s larger themes. These artists are so connected to their materials. 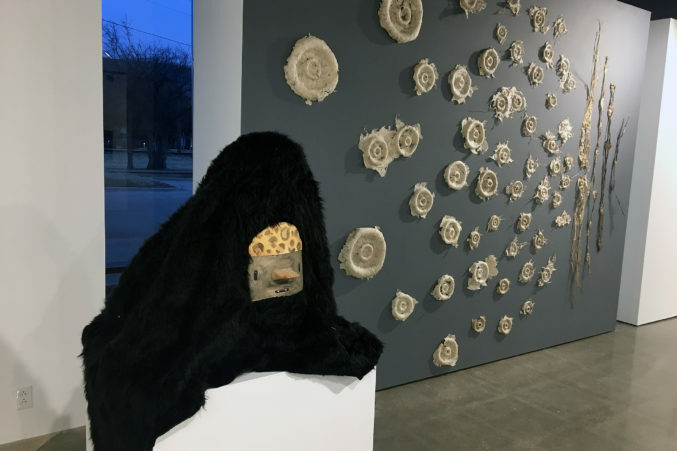 Fabiola Valenzuela’s use of tortillas, for example, her pieces are highly ephemeral but the work, with its use of actual tortillas that of course spoil over time, for me, becomes an analogy of her history, it acknowledges how important it is to maintain tradition. Think about assimilation, and the American dream. What I admire about the Latinx community is that we don’t forget about our culture, and she really brings that out for the viewer in a very poetic way. Fabiola Valenzuela, Exploded View of Engine Mounts and Exploded View of Transmission Mounts. I think Sara Cardona’s print with the bomb pop [lead image] was a beautiful abstract piece about confrontation, two different cultures being forced together. There are positive and negative associations with these bomb popsicles, but if we really break down this construct we have of American exceptionalism and its different associations, how America’s role in Latin America and the rest of the world influences that confrontation, and how much responsibility America has forsaken in a sense because we’ve caused a lot of issues and now they’re coming back to roost. So you take these saccharine elements that are luscious and beautiful, but then you think about the bomb pop and the negative connotations of that, in some ways her work becomes a kind of topographical map of this idea of bringing good will through soft power. Sara Cardona, Punto de Fuga, 2018. I would not generalize beyond the artists in this show, but in this show there’s no use of found material that doesn’t also incorporate something new, all of these artists are preserving these materials but they’re also transforming them. That’s not always the case with artists working today who often use found material and do very little to alter it for the art space. There seems to be something unique to the way the artists in your show are handling that, these artists are inheriting a culture and they’re being asked to assimilate and they’re being given things they almost have no choice but to use, but they’re also consciously and beautifully transforming the materials they’ve been given. They’re transcending the materials. Analise Minjarez and Serita Westrup, for example, use plaster and cement in their work to transform found material such as wires, which to me is so indicative of the culture they come from, think about who builds the infrastructure that surrounds us, its Latinos, so many Latinos can recognize these materials because they grew up with them. That’s how you create good art, you have to be responsive. What do you want visitors to leave thinking about? I think the biggest thing that I think some will take issue with or not understand is some of the language that was used in the titles. For this show if the artist added the English-language title that was fine, but if they didn’t, I wasn’t really interested in translating it. If that prompts the English-language viewer to Google translate some of this stuff, that’s fine, it’s a starting point, but it also creates the experience of being marginalized, of not understanding what’s going on. Viewers can do one of two things, they can be dismissive, which I hope viewers won’t be, but they can also choose to investigate further, which might help them reach the conclusion that this is exactly how immigrants feel. My hope is that visitors will experience at least for a brief moment what it’s like to be marginalized. If the show can develop some kind of empathy in the audience, that’s what I’m hoping for. Jonathan Molina-Garcia, Superpasaporte Positive. iPad and small documentation.